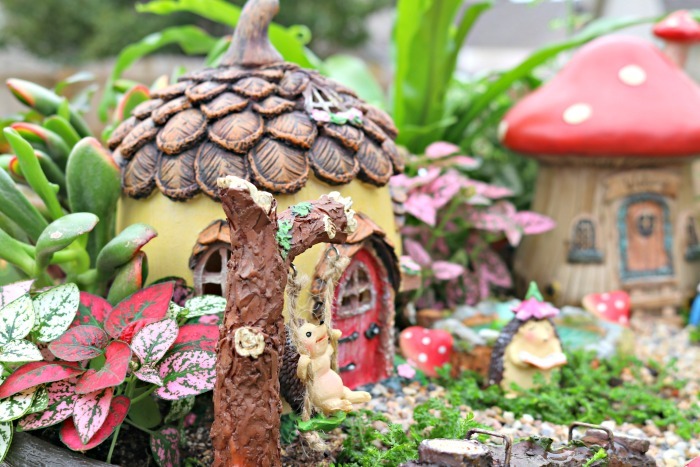 Planting a fairy garden is a great way to connect with your kids. 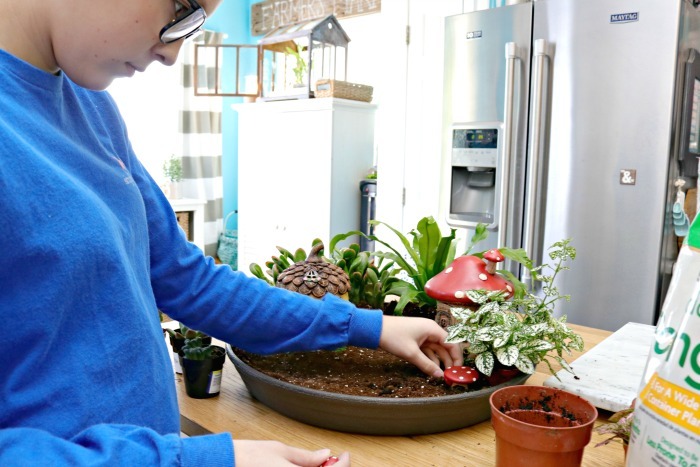 It’s a wonderful way to engage your child’s imagination and teach them about caring for plants as well. 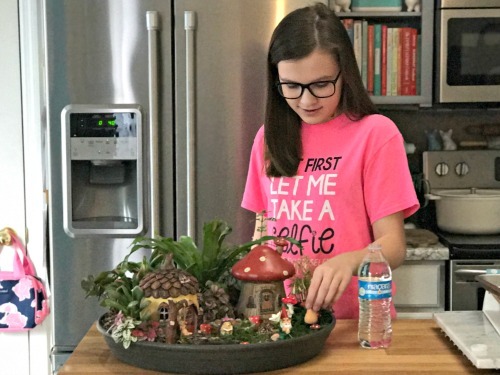 I recently teamed up with Niagara Water to show you how to plant and create your own fairy garden with your kiddos! Kate and I had the best time putting ours together, and it is a memory that neither one of us will ever forget! To start, you are going to need a few fairy garden accessories. These are items that you can purchase or get creative with and make yourself. We purchased ours at Michael’s and I’ve also seen some cute fairy garden accessories at Hobby Lobby. You can up-cycle items you already have in your home and use them if you like as well! 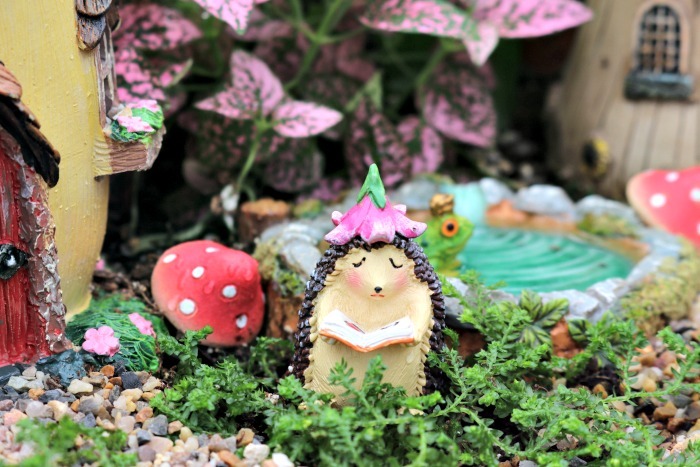 You can plant a large or small fairy garden…the whole point is to use your imagination and get creative! The other things you will need to plant a fairy garden are a vessel for your garden (flower pot, bucket, shallow dish), potting soil, small pebbles if you want to create a path, and plants! If you don’t have a green thumb, it’s perfectly okay to use faux plants for your fairy garden. 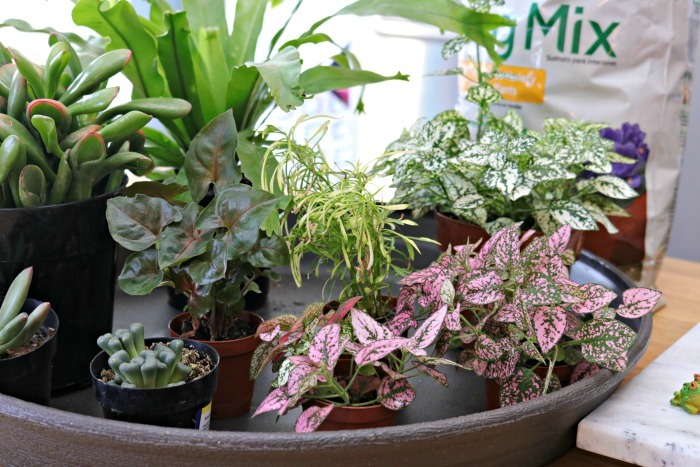 To make your fairy garden full, you’ll want a mix of different sized plants. The larger plants will help anchor your fairy garden, while the smaller plants will help fill it up! Next, place your larger accessories where you want them. At this point, you don’t want to push them into the dirt too much, just in case you aren’t happy with the design and you want to move them around. Now you can fill in all of the blank spaces with the smaller accessories and some of your smaller plants. 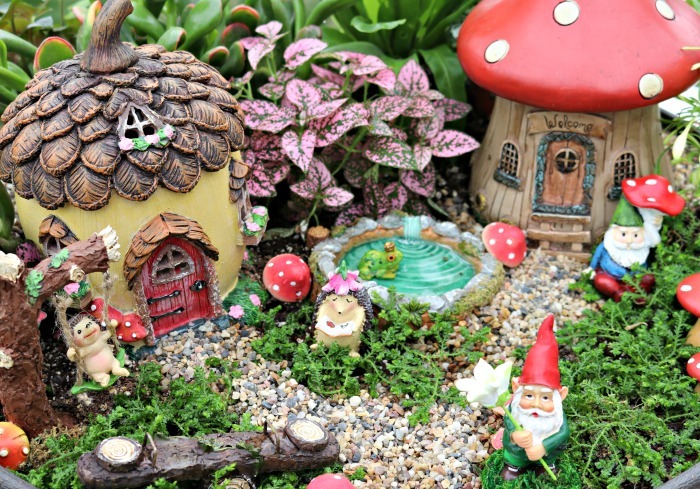 Once all of the plants and accessories are in place, you can use some small pebbles or gravel to make a pathway connecting your fairy homes or leading from one fairy house to the front of the fairy garden. If you are making a large fairy garden, you can make paths to different areas…just have fun with it! 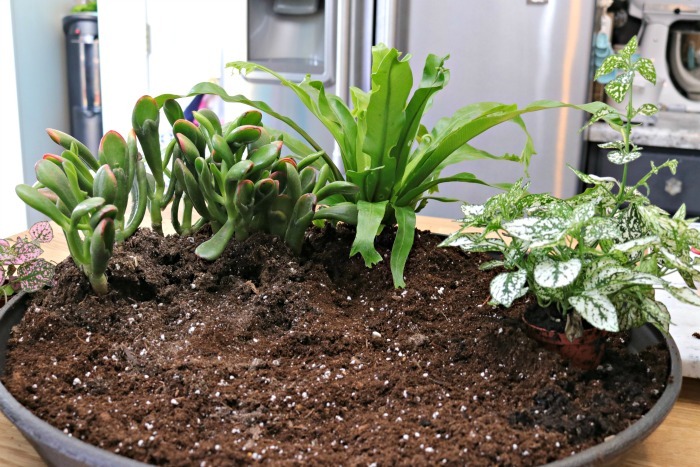 If you are using any plants to cover the dirt, you can add those at the very end. We used some Irish moss to cover the ground so it would look like grass. 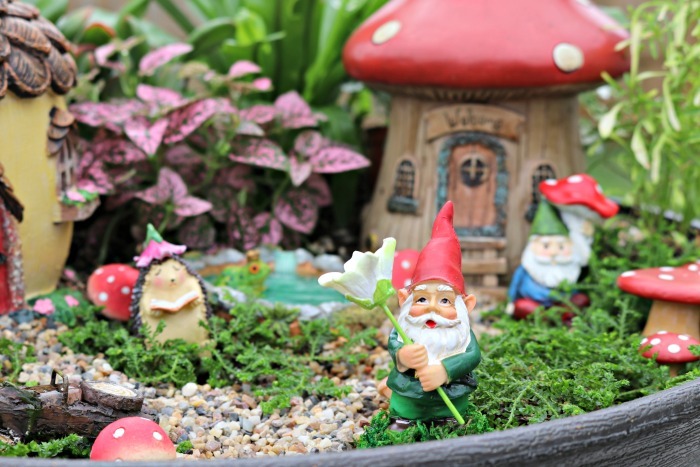 Once your fairy garden is complete, you’ll want to fill any areas that hold water with water. Our little pond needed a little to make it feel more real…we may add a different pond with a pump at a later time. You’ll also need to water your plants whenever the soil gets dry to the touch. No need to water any more often than that…too much water can cause the roots to rot. We planted our fairy garden over a week ago and have enjoyed it so much. Kate checks on it twice a day, and the little hedgehog on the swing is her favorite…she named him Hedgy! I love the mama hedgehog that we placed by the frog pond. She reminds me of myself a little…always a book in hand, and I love flowers. 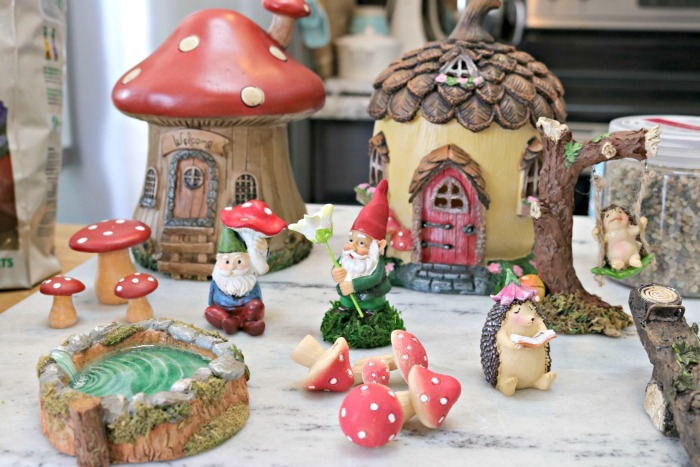 We fell in love with these sweet little garden gnomes and thought the mushroom house would work perfectly for them. We even added a little mushroom table and chairs to their “yard”. 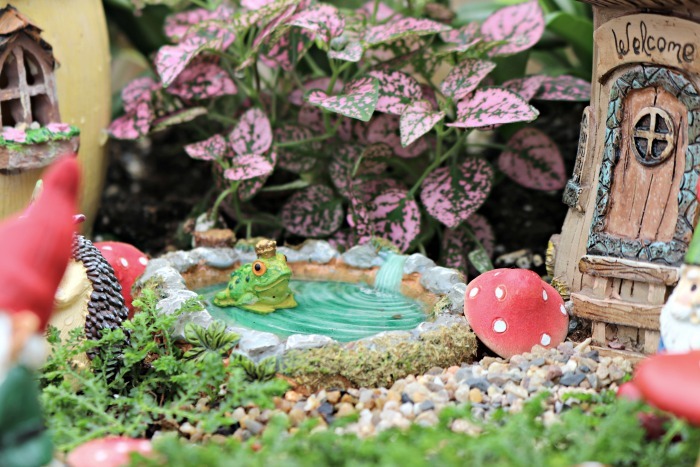 I think this little frog pond just puts the finishing touch on the fairy garden. It’s tucked under a plant in between the two houses and helped add a little division so we could sprinkle the rocks for the path that connects the two homes. 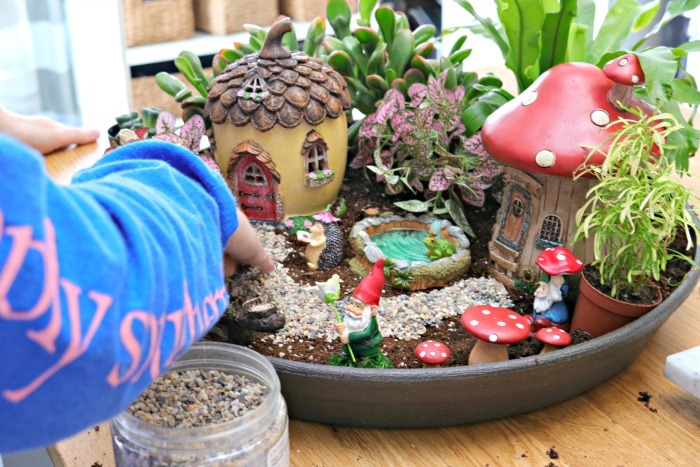 We had the most magical time creating and planting our fairy garden…we have even made plans to create an herb garden this summer and turn it into a fun little fairy garden too! Got any fun family ideas that you would like to share? Leave them HERE on Niagara’s Facebook page, and you might win $100! « How to Clean Tennis Shoes with a Magic Eraser and More! Love your fairy garden!! The frog with he crown is adorable. I love it but wonder where you buy all the pieces for the garden. I am going to plant a herb garden and hope to add the fairy garden. Thanks. You can also find fairy garden items at Joann Fabrics. I saw lots of cute ones at Dollar General. Thank you, Mary! I love him too! Thank you, isn’t he the cutest?? Thanks for sharing! For the past few months I have been gathering items for me and my grandsons to do a fairy garden and I know I am excited! I will have to send you a picture when we get done…Such fun and I love involving my grandkids like you involved your daughter….Happy gardening! Can’t wait to see, Karie! Sorry I wanted to add that I bought a lot of my items at The Dollar Tree and Dollar General…. I am so doing this with my daughter! She will love it! I adore t he idea of the herb garden, Brilliant! Thanks for always giving me great ideas and saving me. She will love it! Can’t wait to see what you ladies put together! I started a fairy garden last year, but didn’t finish it. I went to Oakland Nursery and bought a bunch of fairy garden things in the winter ON SALE !!! Can’ t wait to put mine together this year. I really like your vessel that you used for the fairy garden. I love your posts, thanks for posting this one !!!!!! Thank you for the sweet words, Claudia! I’d love to see your fairy garden when you get it all finished! !